A marketing offer is any content of significant value that people are willing to exchange their contact information for. Other marketers call this a lead magnet or trip wires. The most common marketing offer is the newsletter subscription. Another one is PDF downloads like industry reports, white papers, and e-books. A marketing offer that is gaining popularity right now is webinars. Whatever the offer is, the point here is that it has to be of significant value; otherwise, they won’t give out their contact information. A marketing offer that provides value is one of the things a lot of marketers fail to provide. Most (foolishly) think that newsletter subscriptions are enough to generate leads for their organizations. That somehow, a magical form asking people to “subscribe” would be enough for them to give up their email addresses without anything in return. Seriously, think about it. If you visit a website for the first time, would you be willing to give up your email address? Now, what makes you think that these people who visit your site are any much different than you? A marketing offer needs to provide value. Something that they (not you) think would help them with their problems. Something that would improve their lives. Think about value from their perspective. Not yours. Not your organization. Another important element of a marketing offer is it has to deliver on the promise you made when you asked for their information. Remember, a marketing offer sits behind a landing page. Then, when the person gets redirected to the thank you page, you should deliver on your promise either through the page itself or through the thank you email. The mistake marketers also often make is that they use a newsletter subscription (which is a valid marketing offer), but don’t deliver on their promise. See, a newsletter subscription’s promise is content. Not salesy and promotional messages. This is one of the most ineffective email marketing tactics used by marketers. Great companies use newsletter subscriptions to offer content. Something that provides value. Buffer with content on productivity. 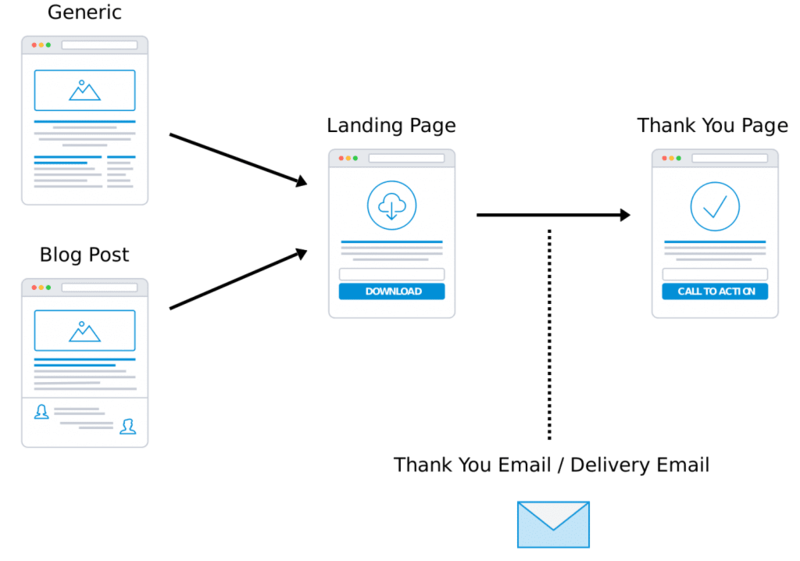 WordStream with content on PPCs. And a whole lot more. A marketing offer needs to provide value and deliver on your promise. As I’ve said over and over, this has to be viewed from the eyes of your prospects and customers, not your organization.